Plessey Semiconductors is linking with Vuzix to develop the necessary technologies for a new generation of AR smart glasses, based on the combination of Plessey’s microLED light source product family, Quanta-Brite and Vuzix expertise and IP in smart glasses and essential optic technologies. 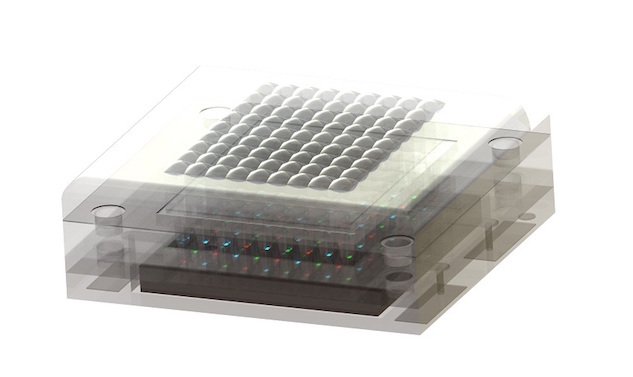 Monolithic microLED technology from Plessey can be used to deliver smart glasses technology for a range of AR and MR (mixed-reality) applications for use indoors and out. In addition, Vuzix has already developed an evolving family of smart glasses culminating in the Vuzix Blade, the next generation smart display with see-through viewing experience via proprietary waveguide optics. Formed from glass with precision nanostructures, the waveguide is a key component in an AR/MR product, enabling users to see high-resolution computer-generated graphics, images and information superimposed over images from the physical or real world. In the development of its next-generation product, Vuzix has selected Plessey’s microLED-based Quanta-Brite light engine, which delivers high efficiency and an improvement in lumen output compared to other light sources currently available on the market. Quanta-Brite is based on Plessey’s advanced and proprietary gallium-nitride-on-silicon (GaN-on-Si) technology, with an integrated monolithic array of RGB pixels with advanced first level micro-optical elements to create a bright, largely collimated and highly uniform light source for the illumination of DMD and LCOS display engines. Size, weight and power reduction are key considerations in AR/MR wearables. Quanta-Brite has been designed specifically for the next generation of Vuzix personal display systems. The Consumer Technology Association says headsets and eyewear outfitted for AR and VR applications are set for record sales this year of $1.2bn in the US market alone.